Tonight, at sundown, Rosh Hashanah will begin. It is during this time that we reflect on the year gone by. This is a tough one for me. It has been a whirlwind of a year. Though there have been some not so wonderful moments, even those have been valuable and will help my family in the long run. My motto of just keep swimming, especially during those Eeyore moments, seems even more fitting right now. My inner Eeyore has been questioning items, things related to my faith. A lot of these feeling go back to the days when I was a child in Hebrew School. I keep reminding myself that no matter how I express myself within a synagogue or outside, NOBODY can take away my Jewish identity. Even with these thoughts in my mind, I take pride in being a Jewish American. I love teaching our boys about the holidays, going into their schools to share with their peers, and writing about books that help us to celebrate. I guess that is the beauty of Rosh Hashanah and Yom Kippur, it makes you stop to think, rewind, and wonder. Then, beautiful things like the video from Fountainheads in Israel make me smile. They remind me of the beauty, wonder, and pride associated with Judaism. Here is the video that they made last year for Rosh Hashanah called Dip Your Apple – it truly is a catchy tune with beautiful images. 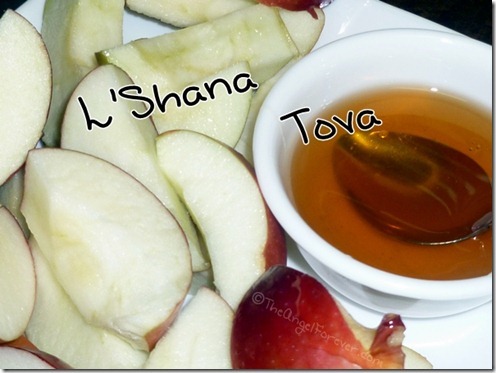 To all those that celebrate Rosh Hashanah – I wish you and your family a Happy, Healthy, and Sweet New Year.